I spent most of last week driving around the valley going to different Spring Training sites. I found myself near a Goodwill store and decided to go in. 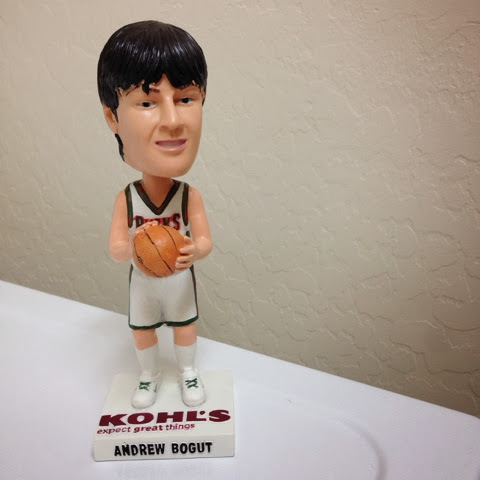 To my surprise they had this Andrew Bogut Milwaukee Bucks bobblehead for a dollar. I'm not sure how it ended up in Phoenix but it's now mine. Hey everybody! 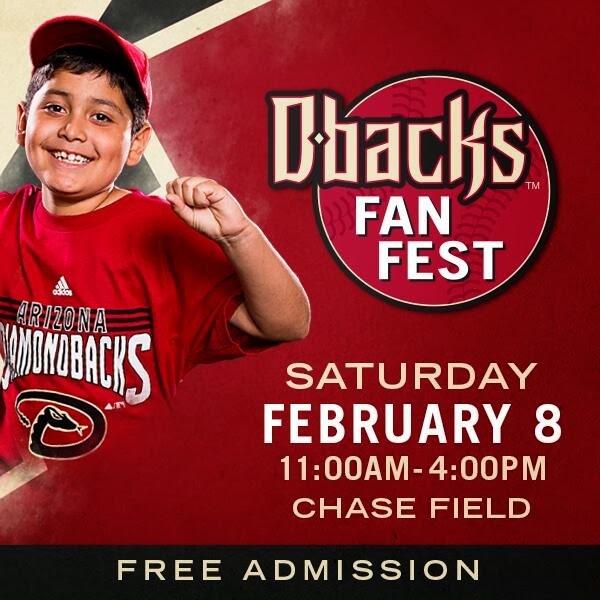 Today is the Diamondbacks Fan Fest. This is the seventh year in a row I'll be going. The past two years my wife and son have joined me. Hopefully we'll have a good time and I'll come home with some stuff to post about. I already have three versions of this Acclaimed Impressions card but I couldn't pass up an opportunity to get one more. 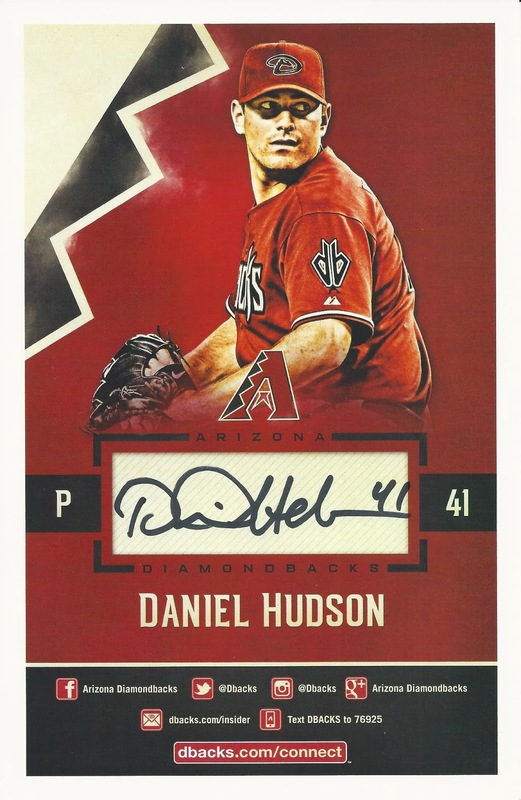 This is the gold version of Daniel Hudson's 2011 Topps Marquee card. 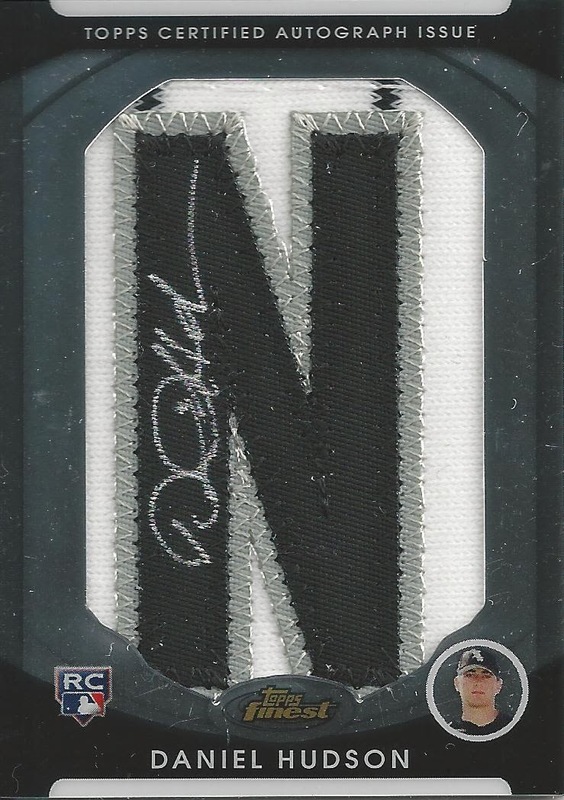 It features two patches (from a White Sox jersey) and a sticker autograph. 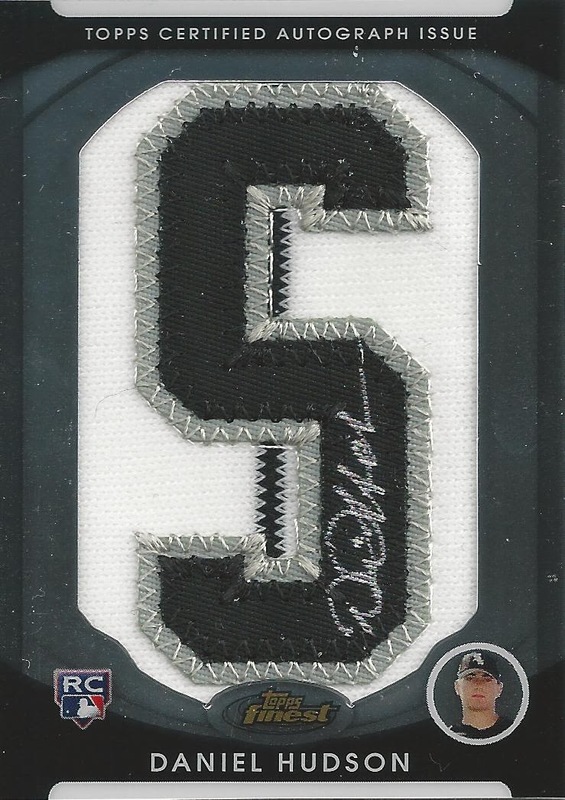 Oh and the best part is it's numbered to 5 on the front. 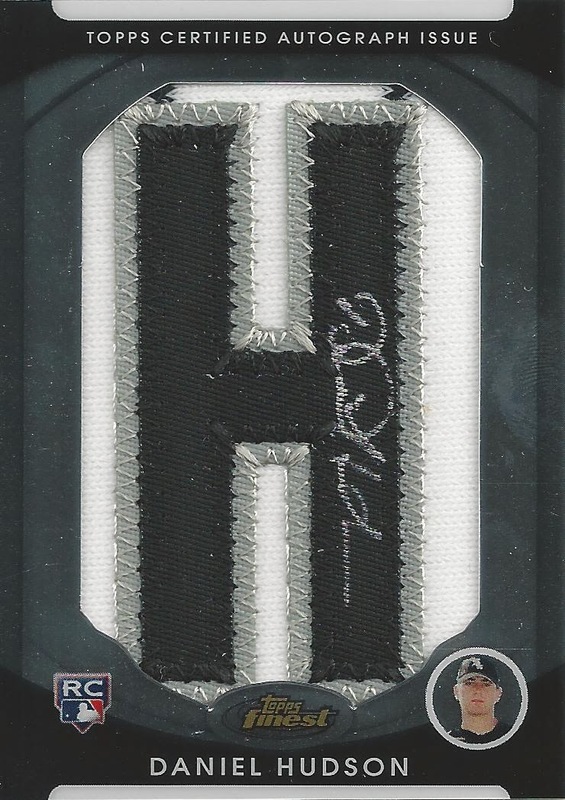 This is my lowest serial numbered Huddy autograph so far. Sorry. All of this purple got me thinking of Barney. 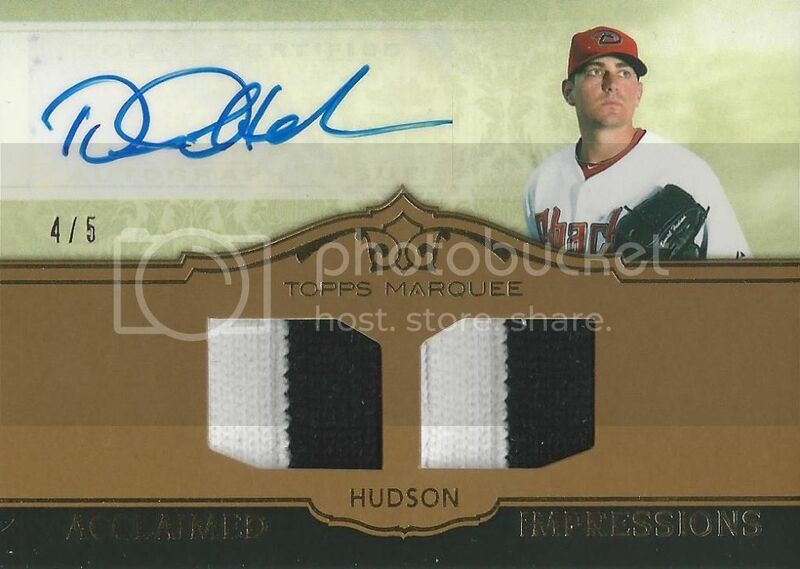 Anyway, here's another card for our Daniel Hudson collection. It's the purple border parallel from the 2012 Topps Chrome set. 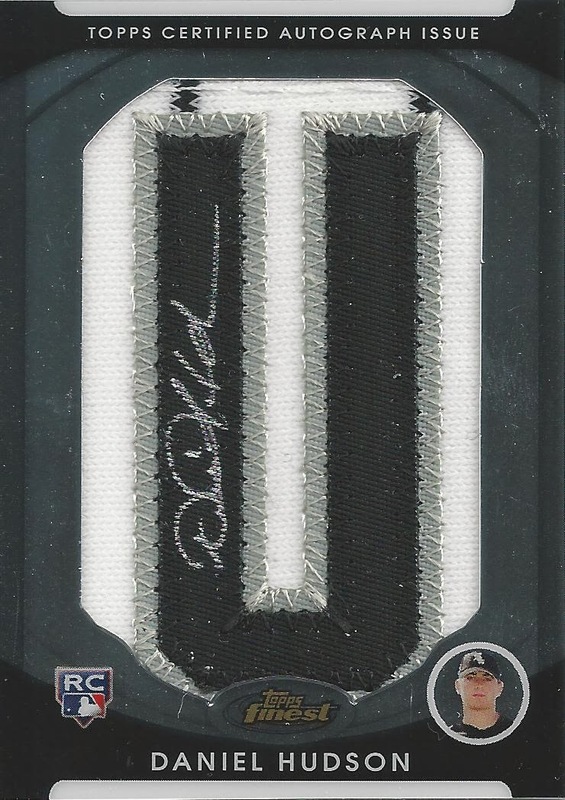 I didn't have this 2004 Leaf Limited Trademarks card so when I was doing my COMC Black Friday shopping I had to have it. 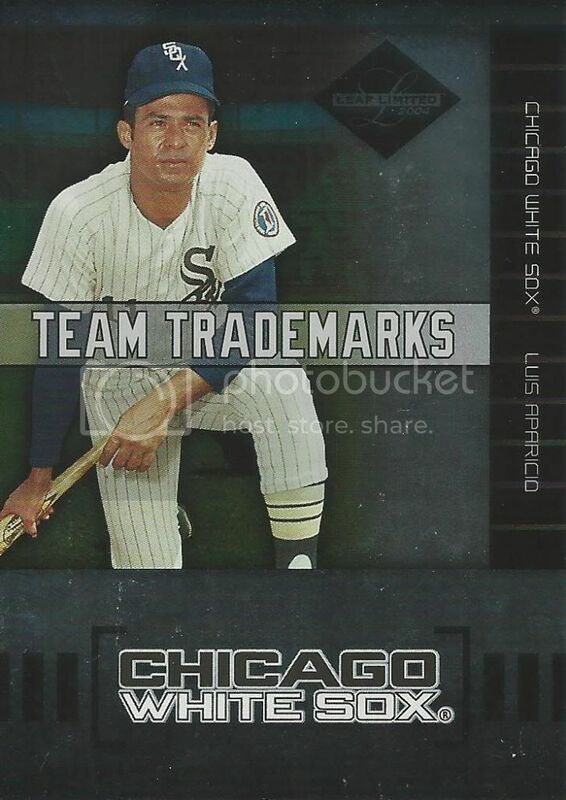 It's numbered 93/100 and cost me just under a dollar. What does that spell? Hudson! Hudson! Gooooo Daniel Hudson! Yah I know that was super lame but I wanted to do a separate post for each of these cards. I've been working on this project for awhile. I posted the first letter "D" way back in November 2011. Since then I've slowly been collecting the others. 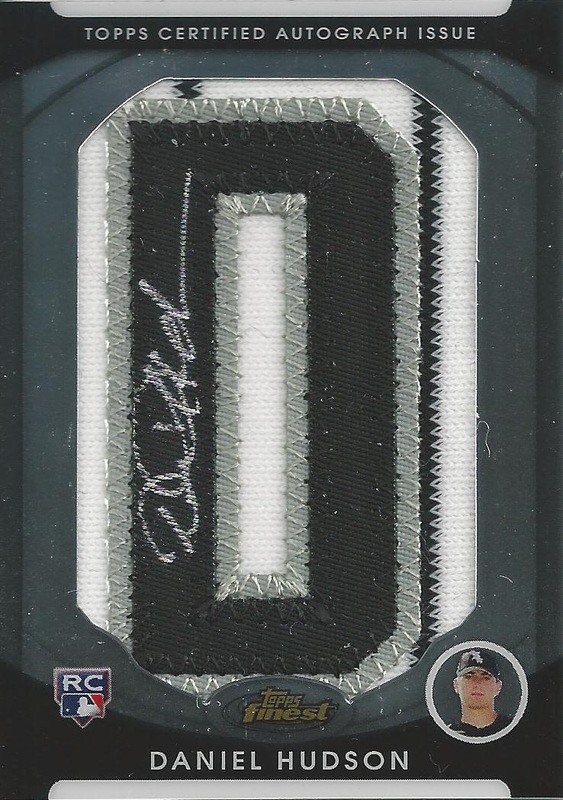 The final letter "U" was part of my COMC Black Friday purchase. I was pretty excited when it arrived. It's good to finally have this one completed. 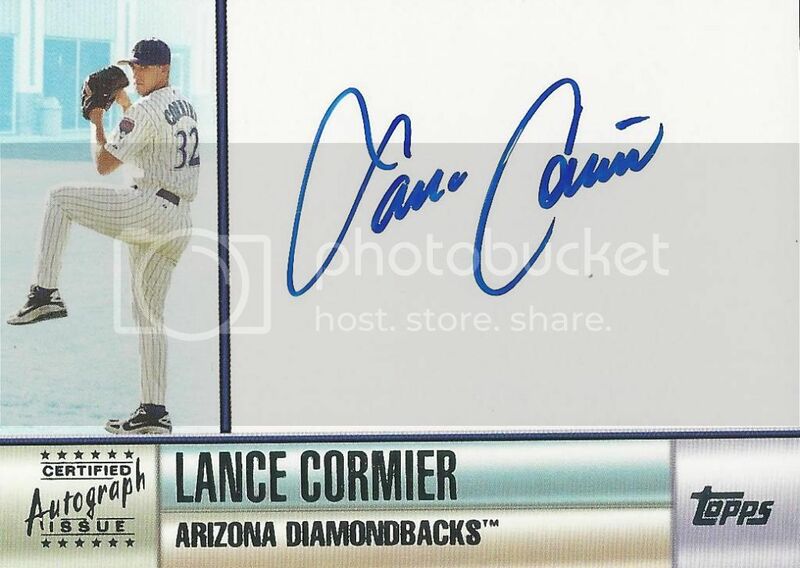 I picked up this certified autograph of Lance Cormier from the 2006 Topps set as part of my COMC Black Friday purchase. When I think of Lance Cormier I remember him with the Tampa Bay Devil Rays. I didn't realize he was drafted by and made his MLB debut for the Diamondbacks. 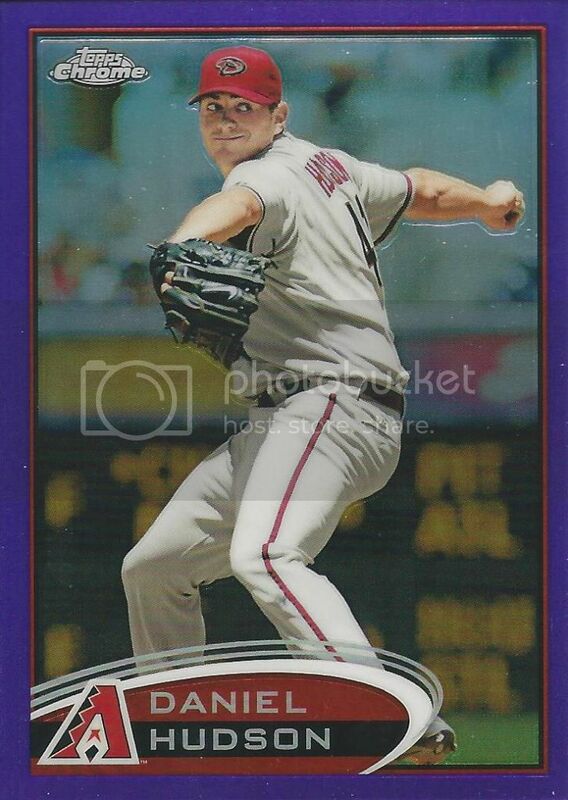 Over parts of two seasons Lance was used mostly out of the bullpen but he did make five starts. 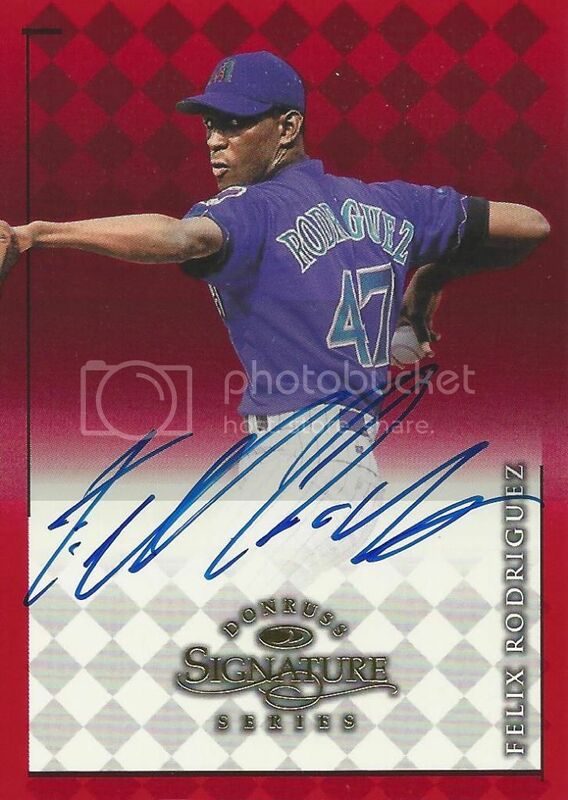 I picked up this certified autograph of Felix Rodriguez from the 1998 Donruss Signature Series set as part of my COMC Black Friday purchase. I've never been able to say no to a 1998 Donruss Signature card. It doesn't get any better. Felix was acquired by the Diamondbacks in a trade with Cincinnati after the 1997 Expansion Draft. He would only spend one season in Arizona appearing in 43 games and recording 5 saves.